The Australian Superbike Championship is back at Wakefield Park Raceway, March 23 - 24 2019. 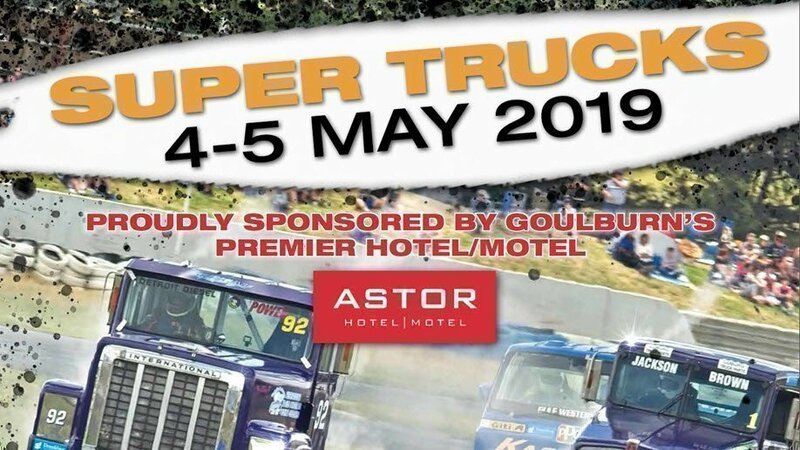 Non-stop Superbike action will light up Goulburn as the Nation’s premier motorcycle road racing championship rolls into town. The jam-packed weekend includes action from the Superbike, Supersport, Supersport 300, YMF R3 Cup and Sidecar competitors, along with Motorcycling Australia’s premier junior road racing academy, the bLU cRU Oceania Junior Cup. The 2019 season will be one to catch with several shakeups in the paddock, including new riders to Team Ecstar Suzuki, Kawasaki BCperformance, Yamaha Racing Team and Honda Penrite Racing. “The Mayor of Goulburn”, multiple Australian Superbike Champion and World Superbike Wild Card, Troy Herfoss will head home to defend his title. After an impressive top three finish in 2018, 3-time World Superbike Champion Troy Bayliss is ready try and claim his first Australian Superbike Championship. The action and excitement doesn't stop on the track, with the chance to meet your favourite riders and grab an autograph! Win your chance to get on the back of a superbike with a pillion ride! Grab a bargain at Trade Alley! Introduce the kids to motorbike riding at bLU cRU Mini Moto Experience which is free for kids to Come n Try! Visit the Spectator Information page for all the details for Race Weekend including schedule, parking details, maps, and more! Early Bird and first 200 Online Weekend ticket holders will receive a Pit Lane Walk during Sunday’s lunch break. See behind the scenes and get close to all your favourite riders. Early Bird Ticket Sales end 28 February 2019! Be sure to buy your tickets today! Wakefield Park Raceway Alcohol Policy: one six pack per adult (18+) per day, 375mL cans only (beer, cider and pre-mix). No glass bottles. No spirits. Car and bag searches will take place. Camping is available on-site from Thursday evening until Monday morning. Pre-purchase your camping tickets with your event tickets to ensure you don’t miss out! Online Camping will close on 20 March 2019 unless sold out prior. Toilets and Showers will be available. Sites are unpowered and drinking water is not available. Alcohol is allowed, Wakefield Park Raceway Alcohol Policy: one six pack per adult (18+) per day, 375mL cans only (beer, cider and pre-mix). No glass bottles. No spirits. - ¹Concession applies to current Defence Force, Pension/Aged, Disability, Carer and Student card holders. - First 200 Early Bird and online Weekend Adult and Weekend Concession Tickets will receive a free pit lane walk on Sunday during the lunch break. Details will be sent via email prior to the event. Children 15 years and under can accompany adults who have purchased a valid early bird ticket. Make sure you follow @asbk on Instagram and like us on Facebook @asbk and visit www.asbk.com.au to stay up to date with everything ASBK. WARNING: Motor Racing is DANGEROUS - all persons attending do so entirely at their own risk. It is a condition of admission that all persons having connections with the promotion &/or conduct of the meeting, including the owners of the land, & the riders &owners of vehicles & passengers in the vehicles, are absolved from liability arising out of & accidents causing damage or personal injury to spectators or ticket holders except where due care & skill has not been exercised. Children 15 years and under are free. All tickets include entry to the Pit Paddock. WARNING: Motor Racing is DANGEROUS - all persons attending do so entirely at their own risk. It is a condition of admission that all persons having connections with the promotion &/or conduct of the meeting, including the owners of the land, & the riders & owners of vehicles & passengers in the vehicles, are absolved from liability arising out of & accidents causing damage or personal injury to spectators or ticket holders except where due care & skill has not been exercised.